Goverdhan Pooja festival is the fourth day of Diwali festival and is also known as Annakut or Annakoot which means “a mountain of food”. On this day, devotees prepare vegetarian food in large quantities as an offering to God to express their devotion and gratitude. It was on this day Lord Krishna lifted Goverdhan hill on his little finger to provide shelter to villagers of Vrindavan from heavy rains. 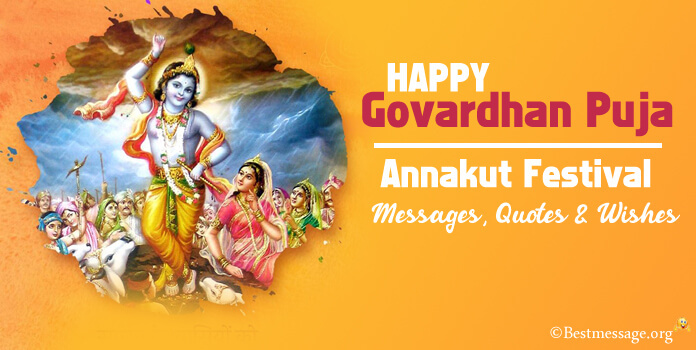 On the day of Anookut Pooja, sending Govardhan Puja messages and Diwali wishes is a beautiful way of expressing joy. Diwali and Annakut celebrations 2018 are incomplete without exchanging Annakut festival wishes. 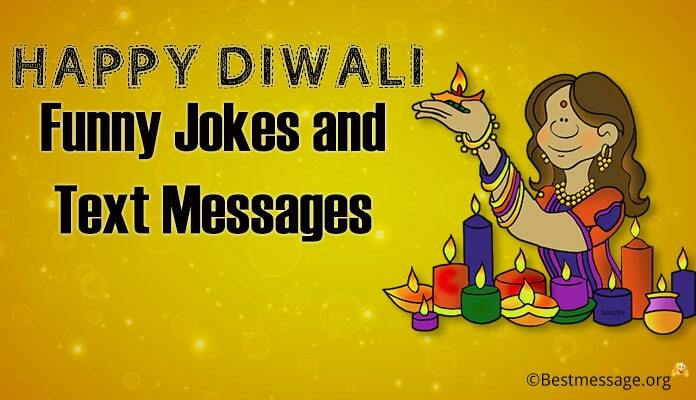 Here is an amazing collection of Hindi and English Govardhan Puja Messages Wishes which you can use to wish your family and friends. 1. May Lord always bless you with prosperity and happiness…. May on the occasion of Annakoot festival, you are blessed with the best of Prasad from Lord Krishna as sweetest blessings for the coming year. Happy Goverdhan and Annakut to you!!!! 2. I wish that Lord Krishna is always there to protect you from all the problems just the way He protected his villagers from anger of Lord Indra in Vrandavan…. Wishing you a very Happy Goverdhan and Annakut with choicest blessings of Lord Krishna. 3. Murli Manohar ki surili bansuri se ghunj uthe aapka ghar sansar…. Brij ka dhrohar har le aapke kasht aur dukh aur bhar de aapke jeevan mein pyar aur dular…. Aao sab saath milkar manayein Govardhan tyohar. 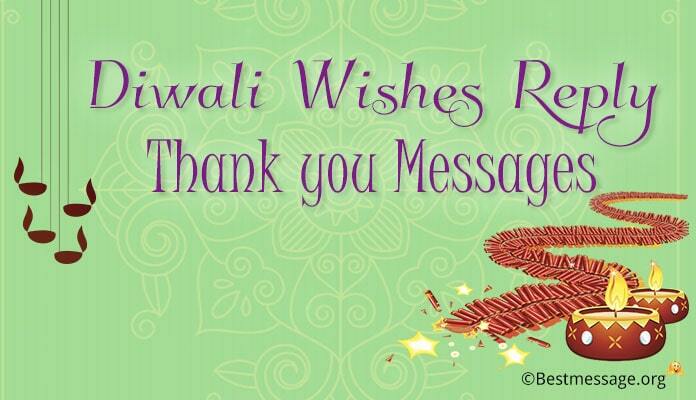 Warm wishes to you and your loved ones on Annakut!!! 4. May the platter of Govardhan festival come with blessings of Lord Krishna for eternal happiness, joy, prosperity and success for you and your family. Sending best wishes to all on the auspicious occasion of Goverdhan and Annakut. 5. 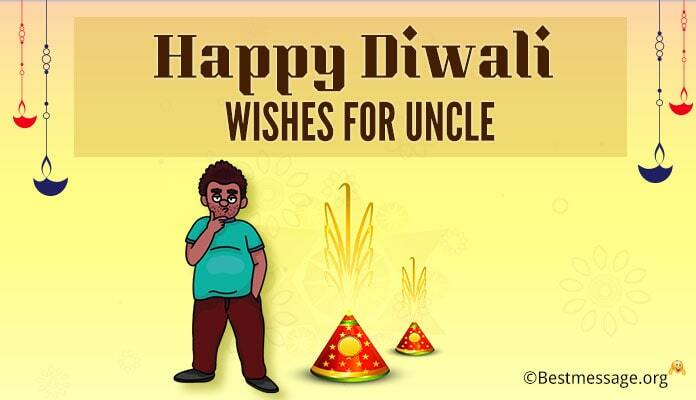 Gokul mein hai jinka dhaam…. Shree Krishna hai unka naam…. Har lete hain ye dukh aur peeda ko ye bhagvan ……Aur bhar deter hain jeevan mein sukh, samridhi aur naye aayam. Goverdhan ke parv par aapko aur aapke parivar ko dhero badhaiyan. 6. 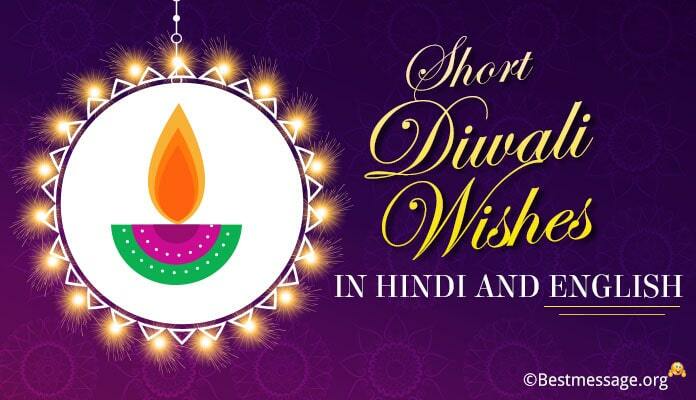 I wish that you and your loved ones are always blessed and protected by Lord Krishna… I wish that the sweet sound of his flute bring happiness and prosperity in your lives for the coming year… Wishing you a very Happy Diwali and Happy Goverdhan. 7. Let us celebrate the festival of Goverdhan with togetherness and happiness by preparing delicious meal as offering to Lord Krishna and seek His blessings for a blessed and protected life. Sending warm wishes to you on Goverdhan and Annakut festival!!! 8. Prem se lo Shri Krishna ka naam, jisne uthaya tha apni ungli pe uthaya tha pahad ko aur ki thi raksha sansaar ki….. Govardhan Pooja ki dher saari badhai!!! 9. Jo samaripit kar de swayam ko Shri Krishna ke kamal charano mein… Mil jaye usko swarg apne Jeevan mein…. Govardhan Pooja ki subh kamnayein!!! 10. Shri Krishna ka bana rahe aap par ashirvad…. Unki kripa drishti se ho aapka aane wala kal aabad…. Govardhan Pooja ki hardik badhai!!! 11. 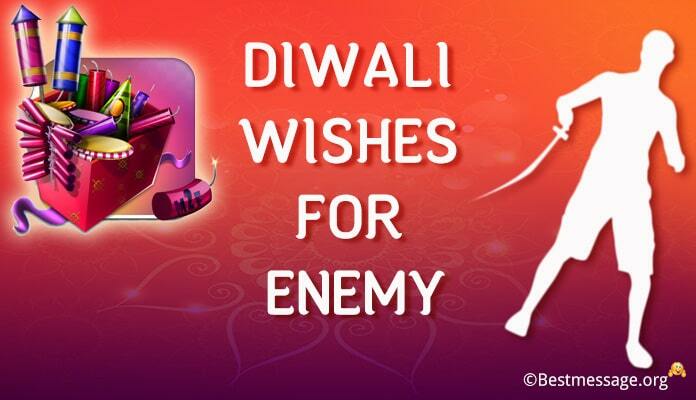 May your life is blessed with love and affection of Lord Shri Krishna for a prosperous life…. Happy Govardhan Pooja. 12. On the occasion of Govardhan Pooja, I wish you a happy and prosperous life and lots of blessings. 13. 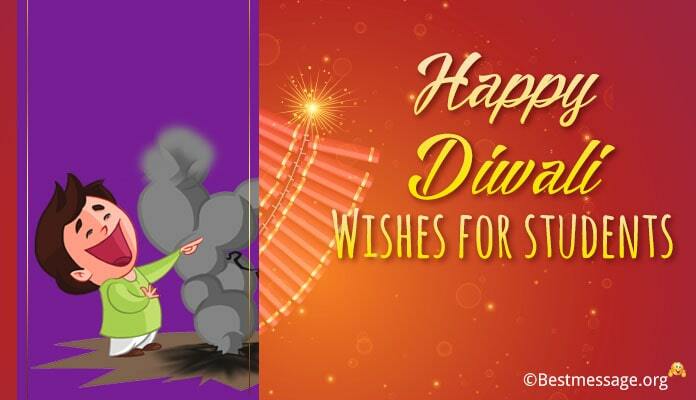 May the love of Lord Krishna always bring happiness and smiles in your life and bless you with success…. Best wishes on Govardhan Pooja.